Primative Firecraft – Trail Blazer Survival School, Inc.
Fire is not an option. Firecraft can make the difference between living and dying. 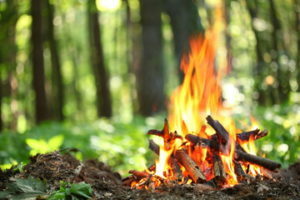 A fire can help you maintain your core body temperature when your clothing and shelter are not sufficient. Fire allows one to properly cook meals and sterilize water, making it safe to drink. Eating cooked food helps maintain your body's core temperature and the process of chewing and digesting cooked food allows more calories to be available for your body to heat itself. 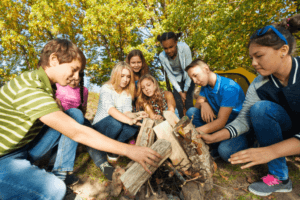 Fire is also useful in wilderness survival situations to sterilize bandages, signal for rescue, make tools and weapons, and provide protection from animals. It also has been found to provide a psychological boost which can make all the difference in whether or not you survive. 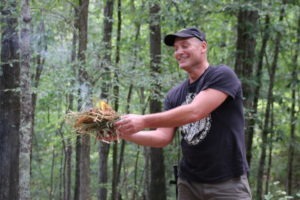 to start a fire with your "Bow Drill Kit"